St. Anne’s Episcopal Church completed its first phase in 1988. 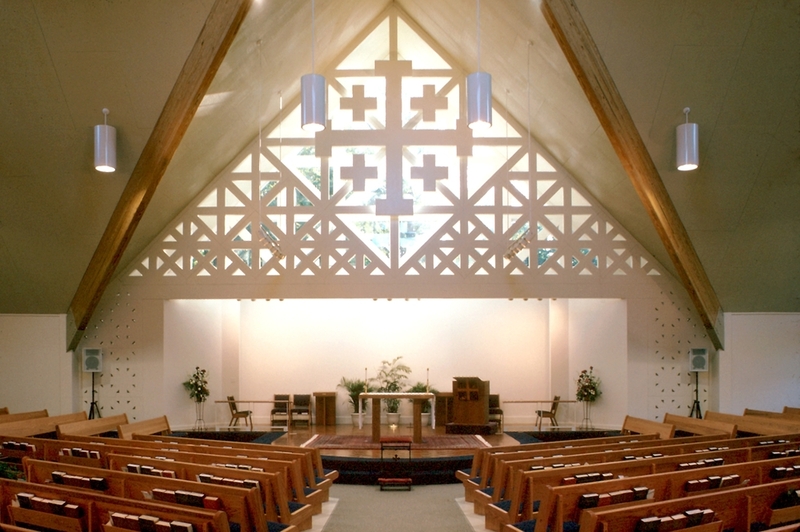 After experiencing real growth in membership, the church selected Ritter Architects to design the sanctuary and an expansion of the education wing. Masonry was used to make a “circular building” so that the congregation faced one another. This circular language was then worked into a rectangular wooden building that continued the form and language of the original building. The combination of these two distinct geometries became the central architectural theme.